Here is your Pisces Horoscope for August 2018. Every month, you will find at WeMystic the astrological forecasts for your zodiac sign. August will be a propitious period for the sons and daughters of Pisces with respect to feelings. The entry of Lilith into the XII House of the sign (08/06), will remove sad situations from the past, which will lead you to seek emotional support from your partner to be able to reach a higher level of understanding. With the entry of the Sun into the VII House of Pisces on August 23rd, your focus will be on the plans that you share as a couple on a romantic level, related to financial undertakings or life purpose. Since the dwarf planet Ceres will also be in the VII House of Pisces, it suggests that there will be conversations that are based on reality and ideas that will be put into practice, not fanciful thoughts. This trend will be reinforced by the entry of Venus into the VIII House of Pisces (08/06), which, in addition to leading to more intimacy, supports the growth of business with your partner or close relatives. It is important to point out that Mars will enter the XI House of Pisces (08/12) as part of its process of apparent retrograde. It will coincide with Pluto and Saturn retrograde in this sector of the astral chart. The tension generated by three retrograde planets in the XI House of Pisces can provoke altercations with friends or coworkers, especially those who are older than you or who hold an equal or higher rank at work. It is advisable not to get provoked easily or take the comments of other people personally. Gather your courage and have confidence in your knowledge and skills. You know how to come out in front and nobody can steal your dreams (unless you allow it). Chiron in retrograde in the II House of Pisces indicates that there is some pending task related to fixing your relationship with money. For example, consider economic resources from a positive perspective (Watch out: this does not mean materialistic) and respect its energy. This planetary position (Chiron in retrograde in the II House of Pisces) opens the opportunity to connect with the consciousness of merit, both materially and spiritually (you attract what you think you deserve). Similarly, the entrance of Venus into the VIII House of Pisces, (08/06) in addition to improving intimacy in your relationship with your partner, will harmonize economic agreements within your family. If you have business with relatives or your life partner, the arrival of Venus to the VIII House of Pisces will present interesting investment options that will attract everybody’s attention. Likewise, the planet of desire can increase how much money you receive this way (family, partner); however, it is a good idea to have a structured plan of your expenses or your money could vanish. With respect to work, the partial eclipse of the Sun in Leo, which will take place on August 11th and will touch the VI House of Pisces, indicates a redefinition of your professional goals. If you accepted a job proposal recently, your path will be towards success. However, Mercury will be in retrograde in the VI House of Pisces until 08/18, so any procedures that involve documents, transfers, new income or raises could take longer than expected. Do not look at this delay from a perspective of frustration or pessimism, on the contrary, take the opportunity to verify that you have everything in order and that you are really aligned with what you want to create for yourself. In this sense, the beginning of the direct phase of Vesta in the X House of Pisces, starting on August 1st, supports reflecting on topics such as your professional goals, your true vocation and concept of success. Keep in mind that what success means for your friend or your family, does not have to be the same for you. You can create your own notion, one that really represents your feelings, your desires and your essence. On the other hand, Jupiter in its direct phase in the IX House of Pisces is a favorable planetary position if you are thinking of moving abroad, traveling to other countries, or expanding your business internationally. Likewise, Jupiter favors students of Pisces who are interested in exploring new academic options, other cultures and even other forms of communication (learning other languages). The partial eclipse of the Sun in Leo, which will take place on August 11th and will affect the VI House of Pisces, relates to conscious work on the issue of integral health (body, mind and spirit). Your efforts will be focused on achieving and maintaining physical, mental and emotional balance, as well as understanding that your own well-being is as important as that of the people you dedicate yourself to. 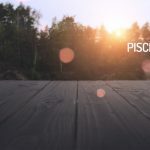 However, it is important to note that Mercury will be retrograding in the VI House of Pisces until August 18th, which means that decisions about your new lifestyle must be analyzed. For example, you may wish to start a vegetarian or vegan diet (temporarily or permanently), but you do not know the nutritional requirements of your body. In this case, it is necessary for the follower of Pisces go to a nutrition specialist, who can advise them on what supplements should be included in their diet. The same applies to other objectives, which are physically related. It should be noted that another one of the aspects of Mercury in retrograde in the VI House of Pisces is that it can lead to episodes of nervousness and a susceptibility to viral diseases. On the other hand, do not forget that Neptune (ruling planet of Pisces) is in retrograde in the sign of the fish, which can disturb sleep patterns, hinder concentration and generate exhaustion. But the Full Moon in Pisces, which will occur on August 26th, will allow you to clarify your thoughts and gather enough energy to work on the balance you deserve and face any challenges that may arise. Activities that induce relaxation have a positive outlook for this time of year. Try to rest as much as possible, especially during the nights (depending on your pace of life and occupations).